With those must-have characteristics in mind, your ideal window coverings need to be functional yet stylish. If you’ve recently redecorated your bathroom and haven’t found the perfect window blinds, this guide is a great starting point. Here you’ll find the best bathroom window coverings that deliver privacy, are long-lasting, look good and, (perhaps best of all) are easy to clean. These are a practical, affordable and stylish way to dress your bathroom windows. Sunscreen roller blinds are made of semi-translucent fabric, which for bathroom projects can be cut from a water-resistant material. Whether you choose water-resistant fabric or not, the material is transparent enough to let the natural daylight shine through without compromising your privacy. If you have high windows, sunscreen blinds should be enough. But if they’re low-set, get a double roller blind system. This lets you hang an additional blockout blind for evening use, ensuring your bathroom interior stays private once you switch the lights on. In terms of cleaning, roller blinds can be wiped over with a duster or damp cloth. For a deeper clean, get the vacuum on them. For the ultimate in bathroom window covers, there’s really only one choice: aluminium plantation shutters. 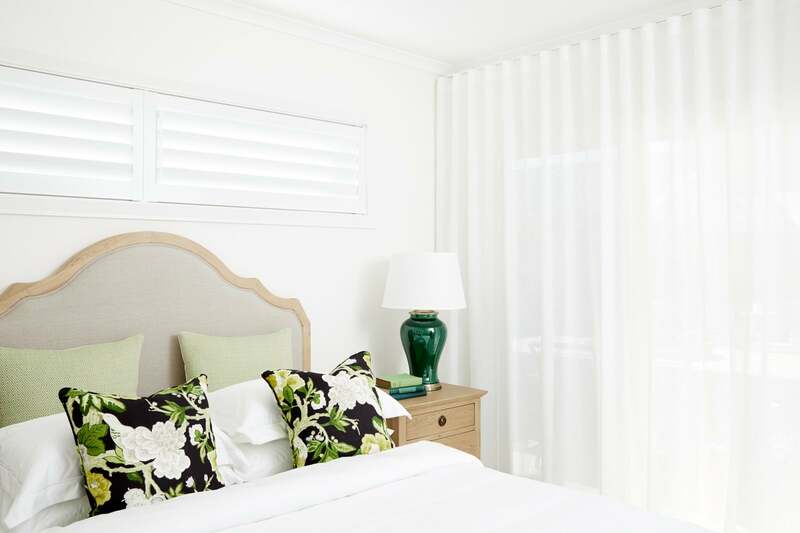 While all shutter styles offer great airflow and light control, plus round-the-clock privacy, aluminium plantation shutters have an extra advantage: they’re super hard-wearing and built to last. Aluminium plantation shutters are often used outside. But you shouldn’t be afraid of fitting them as an interior furnishing, especially in the bathroom. When they’re treated with a powder coat finish, aluminium plantation shutters are practically immune to water or mildew damage. Should they get splashed or pick up any dust, they’re easily cleaned. A damp cloth and a quick wipe over are all they need. If your bathroom is your at-home sanctuary for relaxation and pamper sessions, then consider hanging sheer fabric curtains with a gentle wave fold header. Combining this contemporary (and our most popular) curtain header with translucent fabric achieves a light and airy bathroom ambience. Style the curtain any way you choose, with additional ties for an extra flourish. The soft fall of the curtain creates gentle lines, while the sheer fabric is thin enough to let in as much sunlight as possible without obstructing airflow. These curtains offer little in terms of complete privacy. They’re ideal for high-set windows, or for hanging in front of frosted glass for daytime use and coupled with a blockout curtain or blind for the evening. Keen to learn more about sheer fabric curtains? A new window covering trend has emerged as the forerunner… using coloured blinds in the bathroom. Whilst this may seem strange and a little eccentric, adding small pops of colour through window coverings is a fantastic way to create atmosphere and add interest to your bathroom. Usually a place of bland neturals and endless shades of white, bathrooms often lack the design appeal and homeliness like other rooms in the house. The addition of a coloured window covering is both practical and invigorating, bringing a little 70’s touch to modern designs. When you feel like lots of colour just leave the blind down, and when you want the bright whites to shine through, simply put the blind up. With our Dulux paint range, our Aluminium plantation shutters can be custom powder-coated any shade from their range, allowing a greater breadth of colours and shades available. Alongside coloured blinds, add complementing accessories and features, such as towels, shower tiles and candles to create a warm and inviting space. Classic Blinds and Shutters also offers a selection of fabric blinds, which soften the harsh lines of the bathroom area and are available in a wide range of colours, patterns and textures. Coloured blinds are the way forward – add a statement to your bathroom and enjoy the lovely aesthetic it creates. Still unsure about the best window blind coverings for your bathroom? 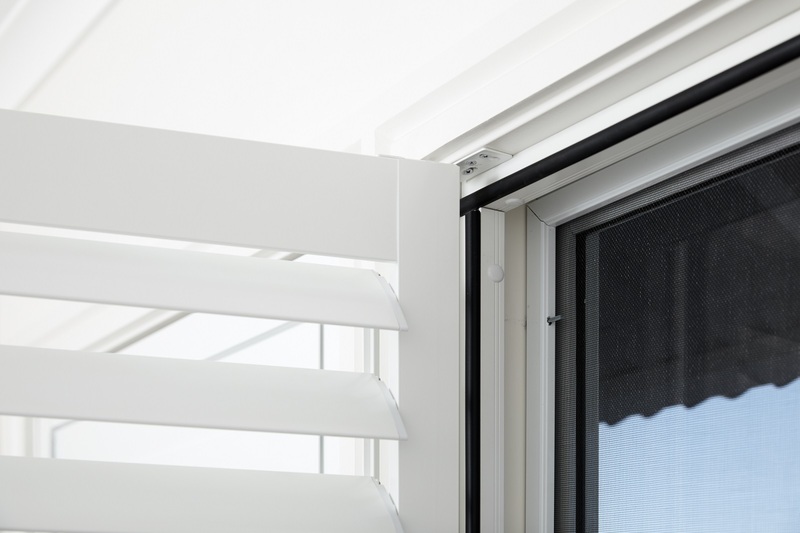 The Classic Blinds & Shutters team offers a free consultation and measuring service. Once we’ve got the measurements, we can provide you with your project quote.